I believe the word I am looking for is PHEW! I woke up this morning and was balls to the walls sore. Like, I’m-not-even-gonna-get-up-to-get-a-glass-of-water-because-that-requires-movement sore. But, after a quick gchat with Athena, she convinced me to try a treadmill interval workout. It was good, y’all. At first, I didn’t think my muscles would want to go through the interval set 2x, but once I got movin’ and groovin’ those muscles didn’t mind at all! A big ol’ thanks to Athena for helping me get my bee-hind to the gym for a good long cardio session! 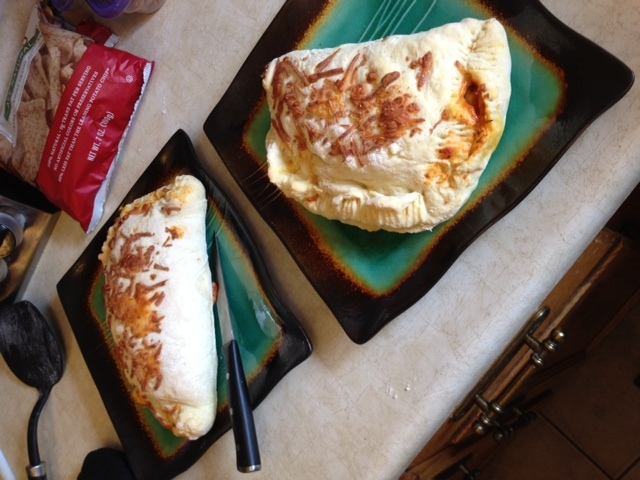 For dinner last night, I made homemade calzones (even the dough was from scratch!) and s’mores parfaits. Mix the yeast and warm water in a bowl and let sit for about 5 minutes. Then, add the rest of the ingredients until well incorporated. On a floured surface, knead with your hands for 2-3 minutes. Place back in a bowl, covered with a towel, and let sit for 1-1 1/2 hours. There were veggies in there, I promise! 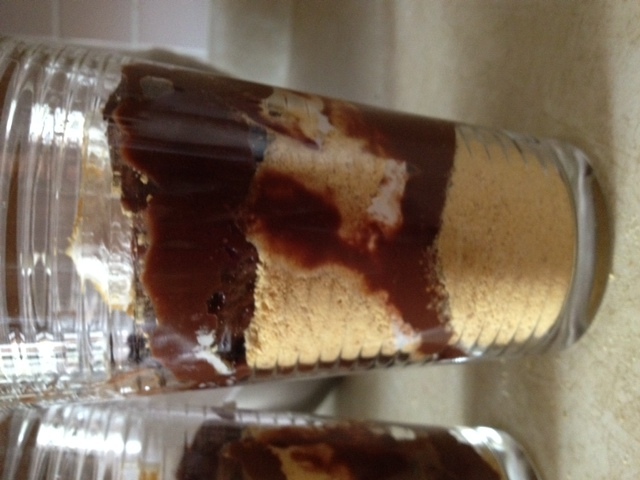 The s’mores parfait was even easier. I made Jell-o cook and serve chocolate pudding (with almond milk). After it was chilled in the fridge for a few hours, I layered it with marshmallow fluff and graham cracker crumbs. 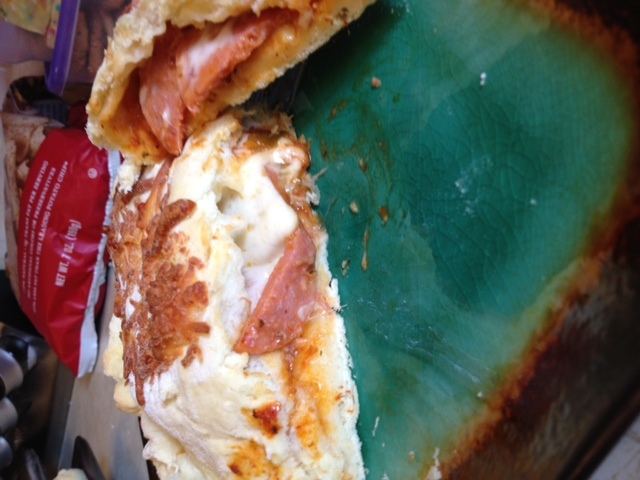 Not gorgeous, but delicious! Good thing I ran like a maniac today after all that food. Woof! 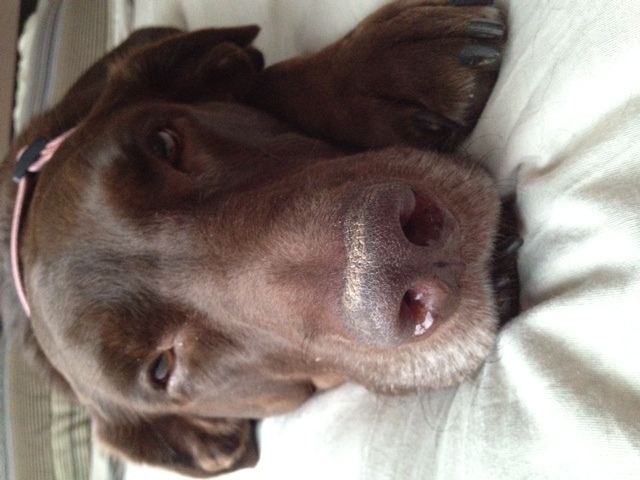 Oh, and Layla says hi to everyone.